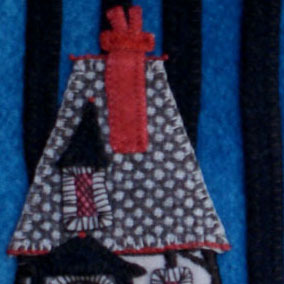 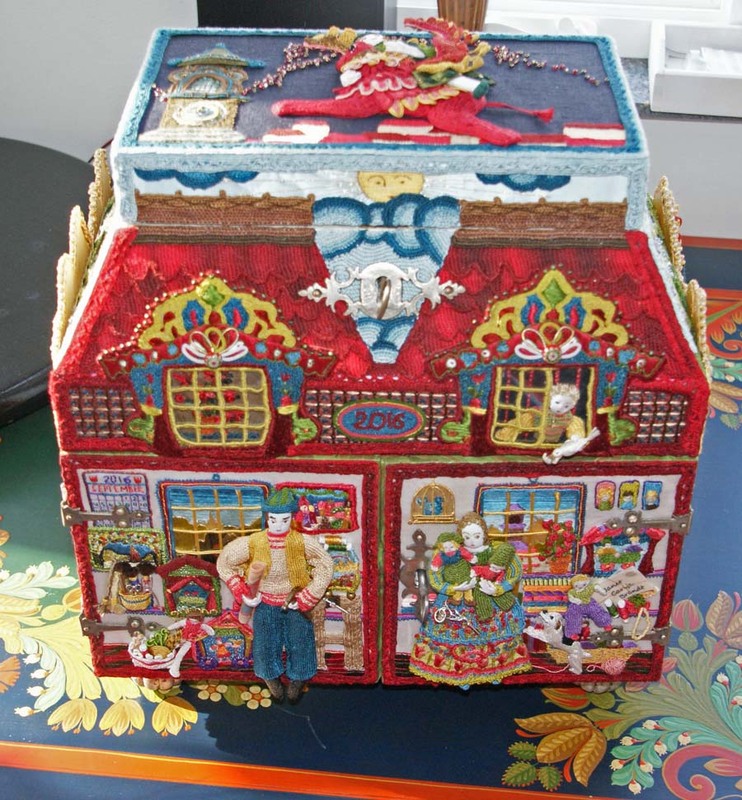 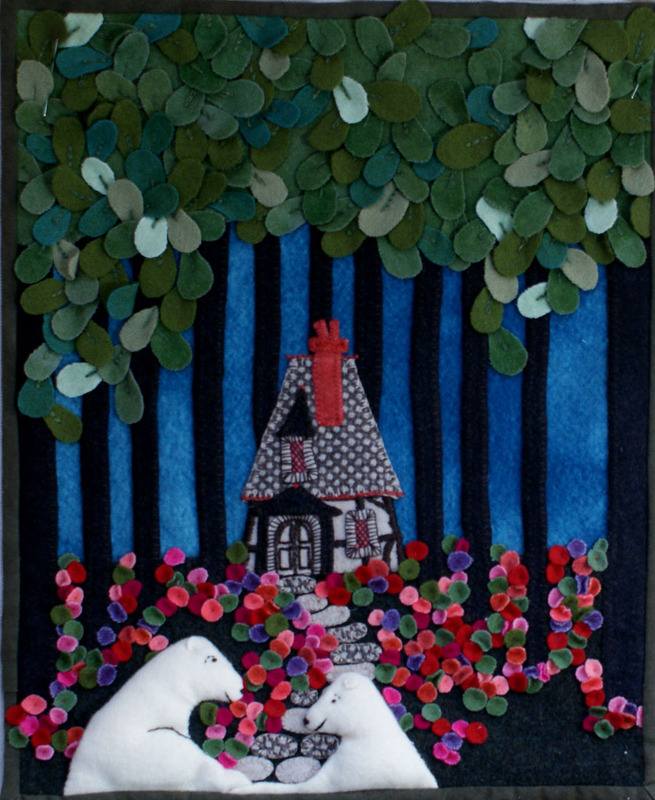 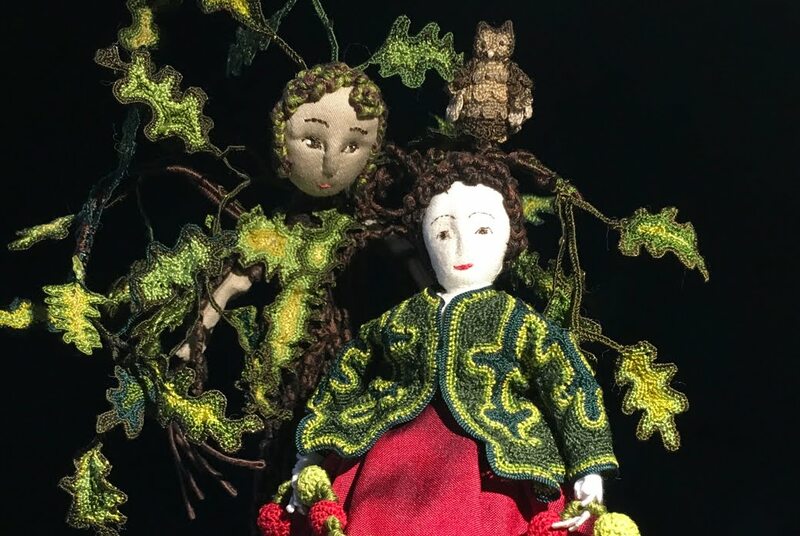 From my book "Making Things", this is a wool applique of the bear's house in the woods. 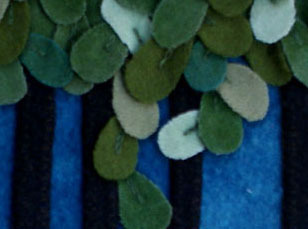 The background is a mottled hand dye deep blue. 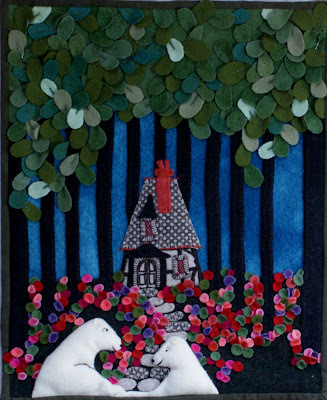 The leaves are an assortment of individually cut greens and the flowers are circles of color. 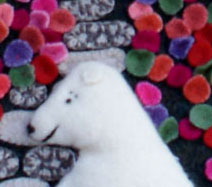 The texture/pattern on the roof is in the weave of the wool.